Sometimes the best things come when you least expect it. In this case, I stumbled upon it a little skeptical. Shortly after moving to Chicago I had dinner at a little place called Elate - a posh yet unpretentious restaurant. I walked in with no expectations and I left in a state of bliss! Not only is the menu inventive but it changes frequently, BONUS! Since we live close, I look forward to frequenting the ever changing menu. My entrée was a combination of flavors I never would have put together. A lamb ragoût tagliatelle with dried cherries, curried cauliflower and preserved lemon. I'm not the biggest cauliflower fan but everything sounded so unique, I had to try it. I can honestly say, I'm a changed woman! Bite after bite the flavors burst in my mouth. With each twirl of my fork a new flavor was revealed; pure bliss! The part of the dish that surprised me most was the curried cauliflower. It took a veggie I would never choose to eat and turned it into something tasty. I decided to make my own version and serve it as a side dish, enjoy! Preheat oven to 400º. Mix corriander, curry powder, vinegar, and oil in a bowl. Cut cauliflower into chunks and toss in the oil + spice mixture to coat. Place on baking sheet for 25-35 minutes until browned. Try adding other veggies to the mix. This would be delicious with roasted potatoes or carrots. 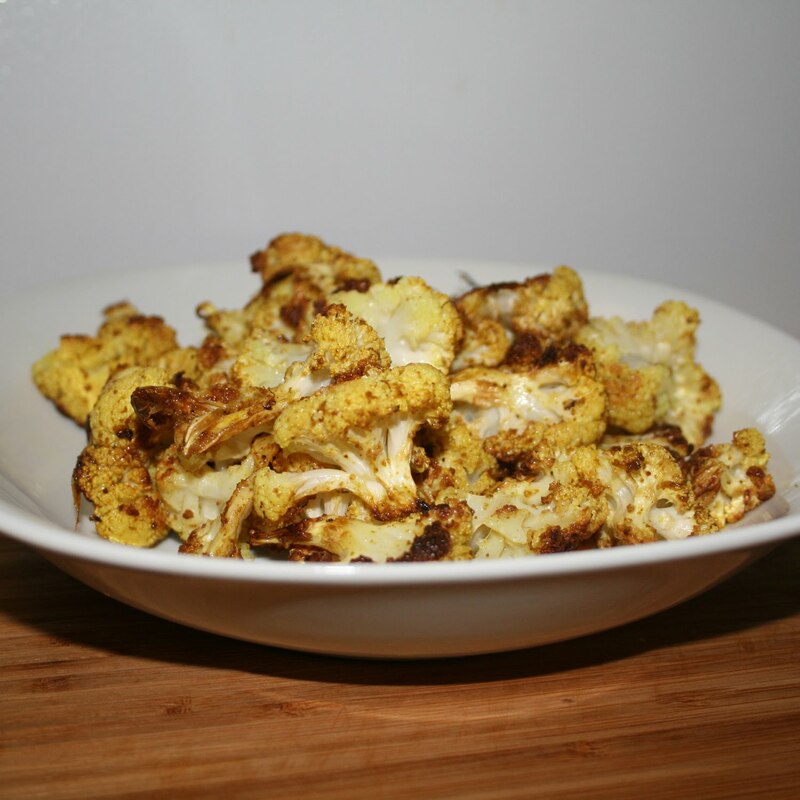 You could also put the curried cauliflower into a couscous with dried cherries.